Camping is one of the most popular and affordable ways to explore the Pacific Northwest, especially Oregon—a recent report found that more than 2.9 million people camped in Oregon in 2018, reaching an all-time high for campers in the state. 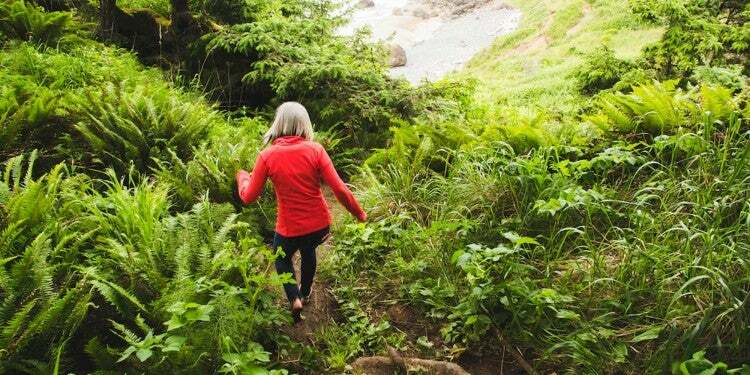 Camping allows you to base yourself near, or sometimes even within, some of Oregon’s greatest natural attractions. And if you don’t mind giving up certain comforts such as flush toilets and available drinking water, you can even find some 100% free camping in Oregon. If you already have the equipment, tent camping gear or an RV, and some extra bucks for gas and food, it’s entirely possible to have an epic adventure that doesn’t necessarily cost more than staying at home would. 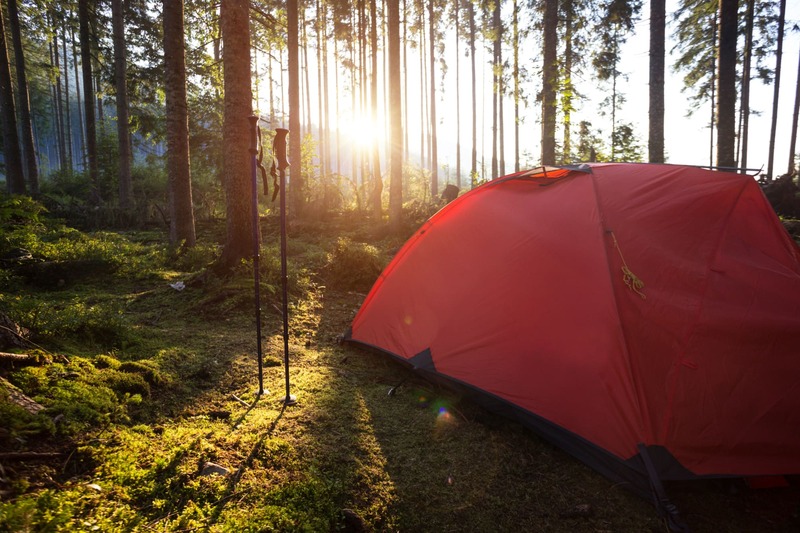 If you’re looking for places where you can go free camping in Oregon, check out the twenty-something campgrounds and camping areas below. 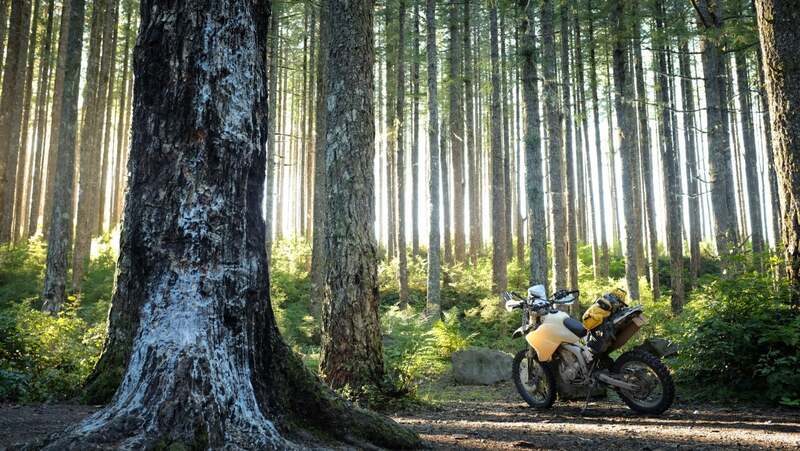 Before heading out to these free spots in Oregon, be sure to read up on best practices for free camping, including how to leave no trace and, if you’re an RVer, how to go boondocking. Most of the Oregon free camping spots are dotted across public lands, which include areas like National Forests, Bureau of Land Management (BLM) lands and wilderness areas. Savvy searchers won’t have to travel far to find for free camping on Oregon public lands—about 60 percent of the state is made up of public lands, according to the U.S. Census Bureau. The beauty of dispersed camping, besides costing absolutely nothing, is that you won’t need to make reservations. These campgrounds are almost always first come, first served. Additionally, as camping on public lands is typically not a crowded affair, Oregon free camping has a chance to offer glorious solitude and welcome peace and quiet amid gorgeous natural scenery. Not all campgrounds on public lands are free, however, so some research is required to plan your trip. 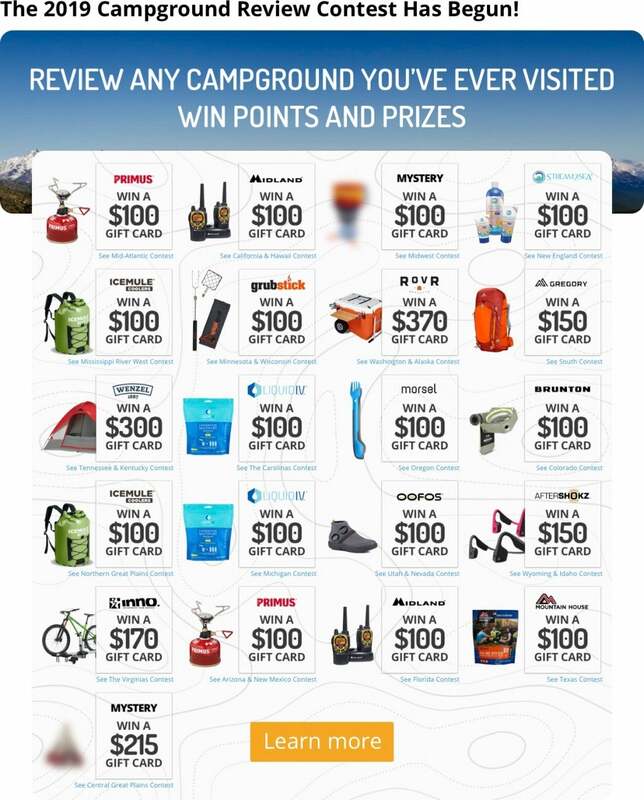 To make things a bit easier for you, we’ve come up with the best places for free camping in Oregon from real camper reviews on The Dyrt. This tiny campground along Sharps Creek in Umpqua National Forest is open year-round and has three individual campsites surrounded by towering Douglas Firs. There are fire pits, picnic tables and vault toilets, but no drinking water or garbage disposal. “This is a very small remote campground past Dorena lake near Bohemia Mountain. If you can luck out, or go in the off season, this is a nice far out spot, off the beaten path to just relax by Sharps Creek. I liked how this place is small and more primitive than others, while still being a legit campground.” —The Dyrt camper TJ B. Image from The Dyrt camper Karina J. 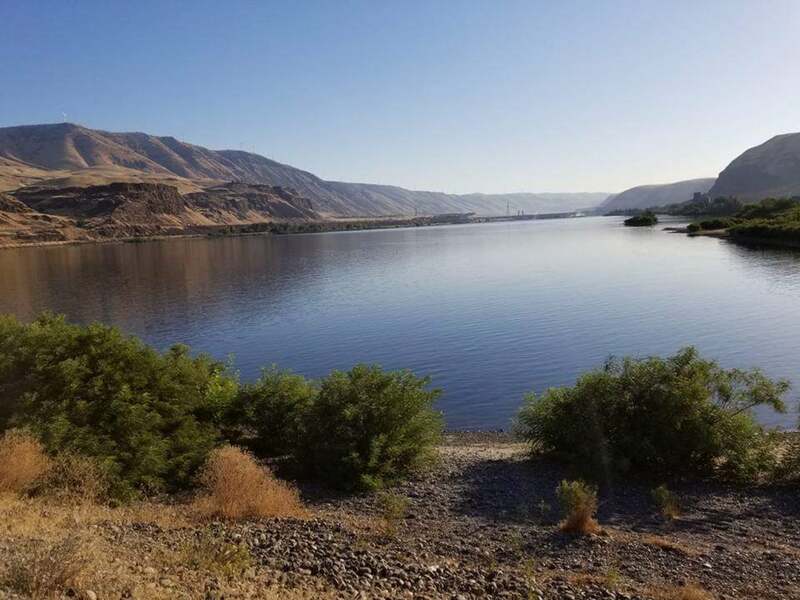 If you’re traveling along the Columbia River and need a place to stop east of The Dalles, the Rufus Landing Recreation Area is a convenient boondocking and dispersed camping site. Managed by the U.S. Army Corps of Engineers, it has no designated sites but is rather a huge gravel parking area, meaning tent campers might have to plan to snag spots before RVers do. Just because it’s a straightforward camping site doesn’t mean it doesn’t offer amenities, though. There are restrooms available just a short walk away, and there’s a hiking access down to the Columbia River. 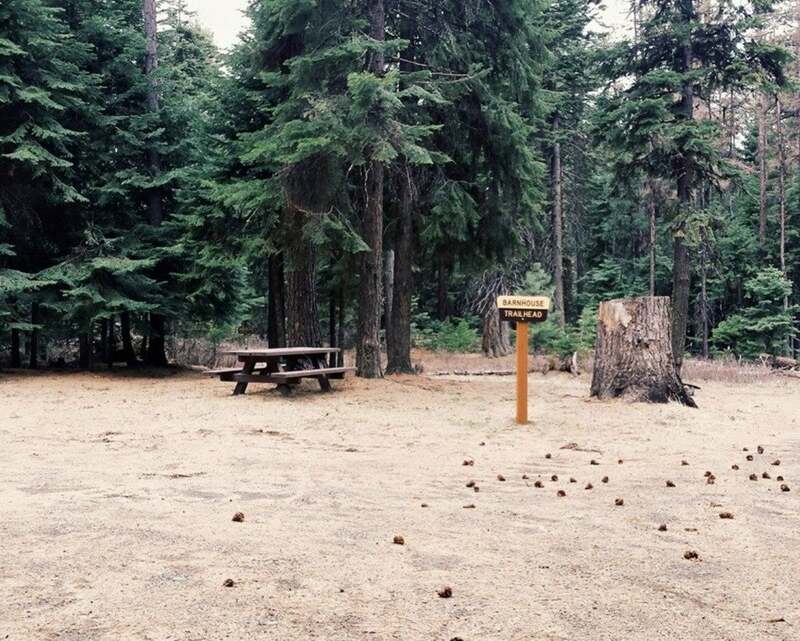 “This campground is a simple (but very large) gravel lot for drop-in camping. No fire pits or reserved spots. If you’re going to a show at Maryhill or just need a place to crash along the highway this is a great spot. Has restrooms and river access!” —The Dyrt camper Karina J. Located at the summit of Pine Mountain in the Deschutes National Forest, this campground lies near the Pine Mountain Observatory, one of Oregon’s best places for stargazing. Pitch your tent or park your RV at one of the six first-come, first-served campsites (maximum site spur length is 30 feet). “Entrance is free. The sites are strung through the trees and overlook the badlands of Central Oregon’s High Desert. 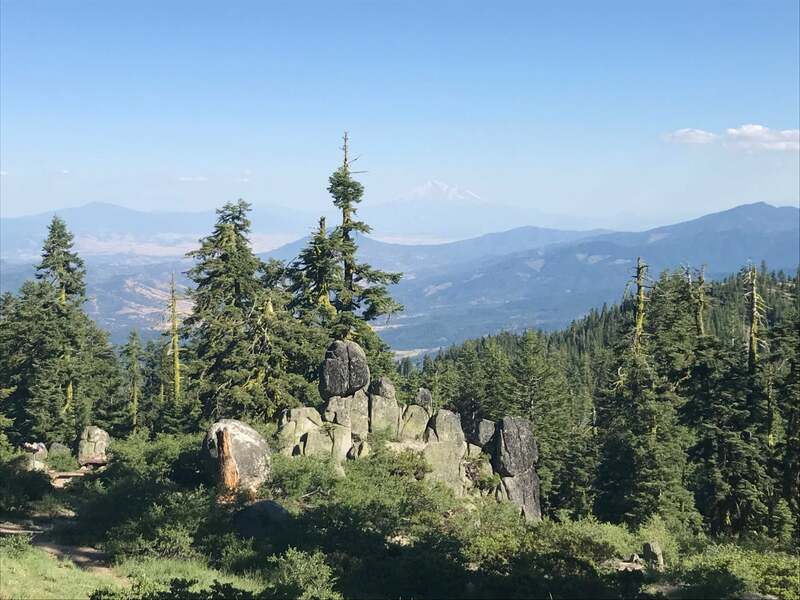 Cool temps in summer.” —The Dyrt camper Richard L.
Image from The Dyrt camper Jenny R.
Situated within Klamath National Forest in Southern Oregon, the Mount Ashland campground offers remote mountain camping along the Siskiyou Crest. It offers access to the PCT, awesome views and excellent wildflowers, bird and butterfly watching. “Lovely place, lovely drive in. Spots are scattered and hard to find at night. Had deer running around while I was setting up the tent. Pit toilets, hiking close by, accessible in any vehicle.” —The Dyrt camper Noie V.
In addition to popular Mount Hood National Forest campgrounds like Trillium Lake and Lost Lake, there’s also amazing free Oregon camping in the same area. At Bonney Meadow, six individual campsites and horse corrals cater to self-sufficient hikers, mountain bikers and horseback riders. Sites can accommodate vehicles of maximum 16 feet in length. 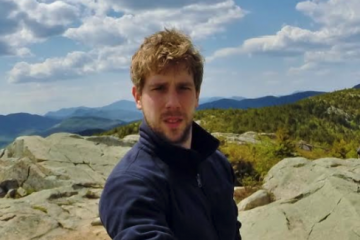 “This awesome untrafficked campground is perfect for people who really want to get away from people. It’s often mostly empty and sits on the edge of a stunning meadow.” —The Dyrt camper Leaha W.
Image from The Dyrt camper Eva W.
While camping within John Day Fossil Beds National Monument, including the Painted Hills Unit, is not allowed, there are plenty of dispersed camping opportunities in surrounding BLM and Forest Service lands, some of which are along the John Day River. 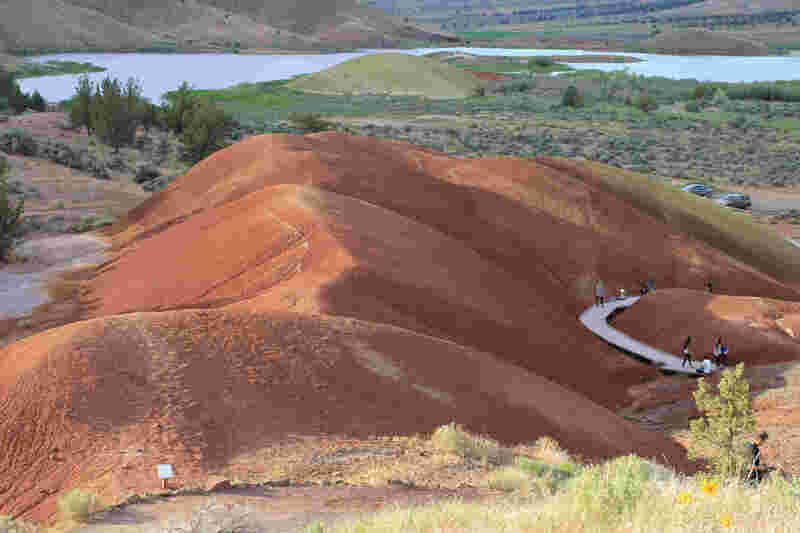 You won’t have any trouble finding a wonderful spot near these remarkably colorful hills, one of the 7 Wonders of Oregon. “This was by far my favorite place we stayed on our entire 4000+ mile road trip…. and it was free! We stayed at Priest Hole, which is a few miles past the Painted Hills visitor center on dirt roads. We camped right on the banks of the John Day River and it was amazingly beautiful. The water was the perfect temperature for swimming and crystal clear.” —The Dyrt camper Corinna B. The Hot Springs campground in the Hart Mountain National Antelope Refuge is a relatively large primitive campground with pit toilets, but no fire rings, drinking water or hook-ups. There are 30 campsites near the popular hot springs, managed by the U.S. Fish and Wildlife Service. Scouting the rolling plains for pronghorn is a fun activity as well. “Hart Mountain is a gorgeous location and although didn’t see any antelope, I was treated to solitude and scenery. Hot springs were great and met some wonderful people who were very welcoming and had been coming to the same area for years. 100% free and plenty of spaces to pull up and choose from across the preserve.” —The Dyrt camper Zach A. Image from The Dyrt camper Ed E.
Sprawling across eastern Oregon, northern Nevada and southwestern Idaho, the Owyhee Canyonlands are a vast wilderness of desert plateaus and river canyons managed by the BLM. 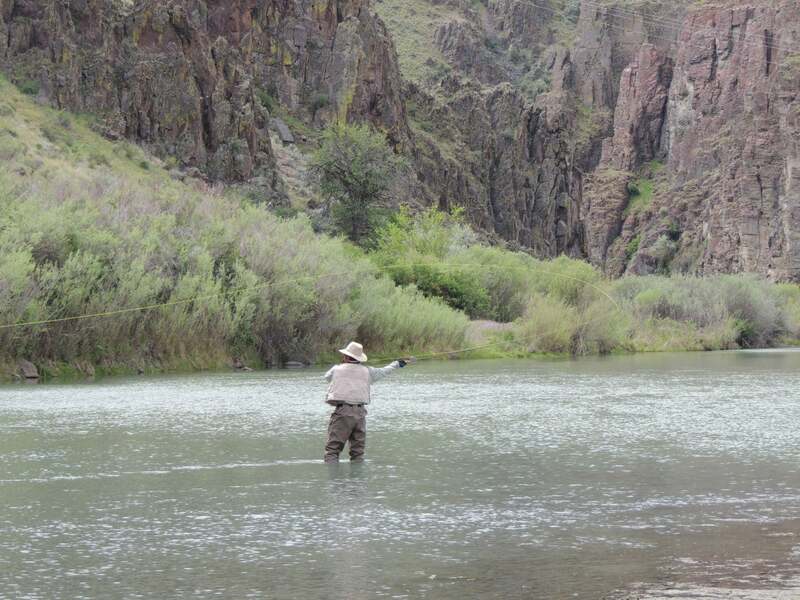 Numerous dispersed camping areas dot the area, some of the best of which are found along the Owyhee River below the dam. “If you enjoy fly fishing for brown trout, this place is awesome. There is dispersed camping all along the river below the dam. It is very rugged, but there are amenities for camping. 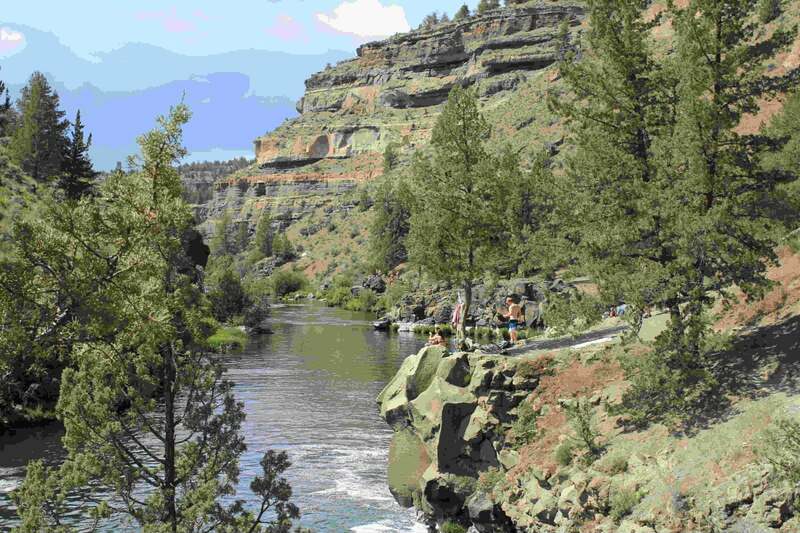 Just follow Owyhee Lake Rd along the river and you will find spaces to set up your tent or RV.”—The Dyrt camper Ed E.
A small six-site campground, the Alder Springs Campground lies along the scenic McKenzie Pass Highway in the Willamette National Forest. Access to the Three Sisters Wilderness’ Linton Lake Trail is right across the road, while the campground itself features picnic tables, fire rings and a vault toilet. “So good when it’s hot out! Although it’s not very clean, the waterfall hikes are worth it.” —The Dyrt camper Eva W.
This is an excellent Oregon free camping spot on kayaking trips. Sand Island is a man-made island in the Columbia River just northwest of Portland that offers primitive free camping, as well as short nature trails and grassy areas for picnics. If you’re on a multi-day kayaking excursion, you can resupply in St. Helens, a short stroll from the camping area. “Accessible by boat or kayak. Sites are primitive, no tables. This is on the Columbia River water kayak trail.” —The Dyrt camper Daniel L.
Image from The Dyrt camper Corinna B. On the way from Portland to the Three Capes area or the Nehalem state parks on the Oregon Coast, you’ll pass through the Tillamook State Forest. Riddled with campgrounds, it’s a wonderful place to take a break from driving. 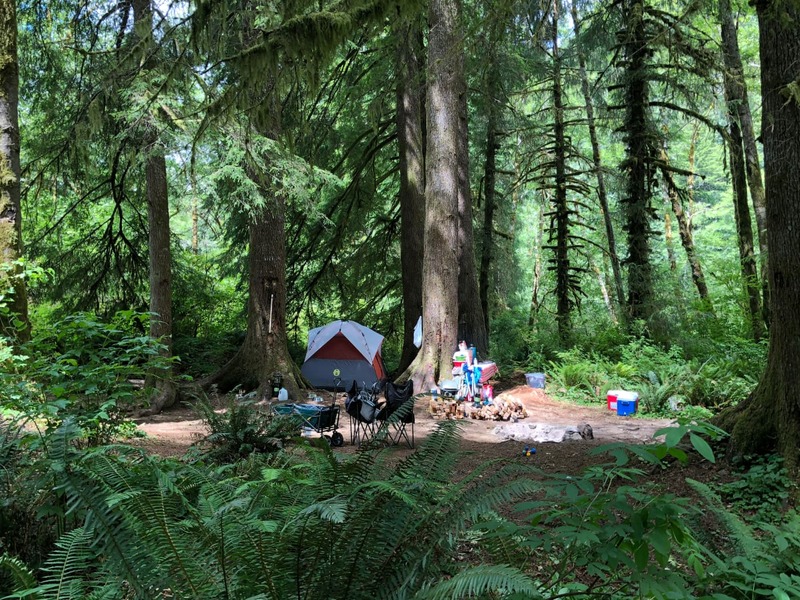 So, set up camp at the free Cook Creek Campground, just off the Nehalem River and providing seventeen campsites, and enjoy some typical Oregon forest scenery. “Tons of dispersed camping along the river and down dirt roads going off the river. A magical place!” —The Dyrt camper Jamie B. Situated on the shore of Klamath Lake in the Fremont-Winema National Forest, a half-hour drive west of Klamath Falls, this six-site campground offers superb bird watching, fishing and boating. 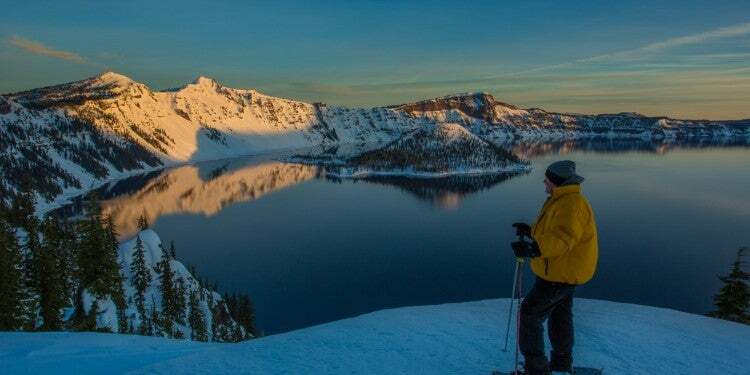 Its location also makes it a good base for day trips to Crater Lake National Park. “This campground is pretty minimal. But the birds I saw as I was setting up my tent and wandering around were more various than I typically see in campgrounds, so that was nice. There is no water, a vault toilet, and the camping is free.” —The Dyrt camper Jessica F.
Image from The Dyrt camper Chris H.
This free campground in Oregon offers dispersed sites near South Lake, a small lake in the Siuslaw National Forest. It’s a lightly used campground, which allows access to trout fishing and non-motorized boating on South Lake, and hunting and hiking on the Pioneer-Indian Trail. “This free campground is just far enough out from the coast and the city that you’ll likely be alone, even on a Saturday night. Most folks coming to this area of the forest camp in the more popular (and more expensive) Hebo Lake campground. If you don’t need amenities and are just looking for a beautiful place to camp, South Lake is a better option.” —The Dyrt camper Chris H.
Set in a ponderosa pine forest a few miles from the main highway through the Ochoco National Forest, the Barnhouse campground is wonderfully tranquil and serene. There are six campsites with fire pits, grills and picnic tables, some of which can accommodate vehicles up to 25 feet. “This is truly a great little campground! It is first come first serve as they require no fee. 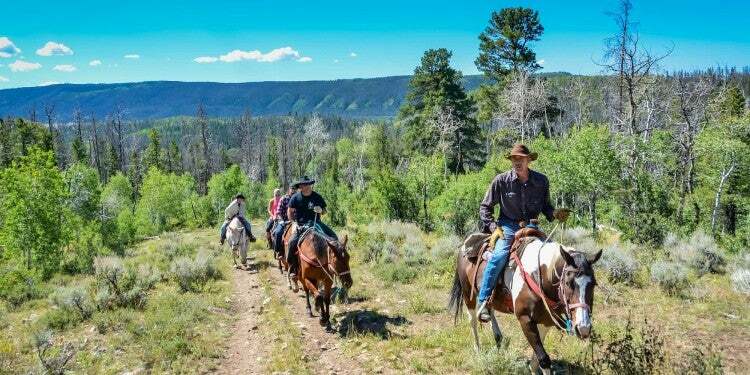 Tucked away in the hills and the woods, with numerous hiking trails from the campground to explore the surrounding areas. It is quiet and a great way to see the Painted Hills that are close by.” —The Dyrt camper Katy T.
Image from The Dyrt camper Katy T.
Here are some tips to help you find the perfect spot to set up camp for free in Oregon. 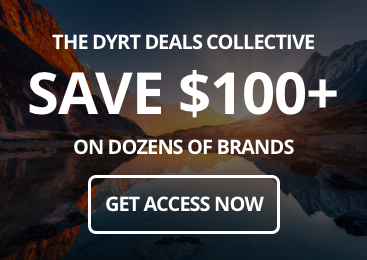 The Dyrt makes it easy to find free camping in Oregon (or anywhere else). Put Oregon in the search bar. Under type, select “dispersed.” Each listing includes a rating and reviews, detailed description, list of features, images, weather report, and geographical data. Visit the Oregon-Washington page on the U.S. Forest Service website. Check out individual national forests and other federally protected areas in Oregon by either clicking on them on the map or on the links below it. Go to the Bureau of Land Management website and sort by location (Oregon-Washington) and activity (camping). 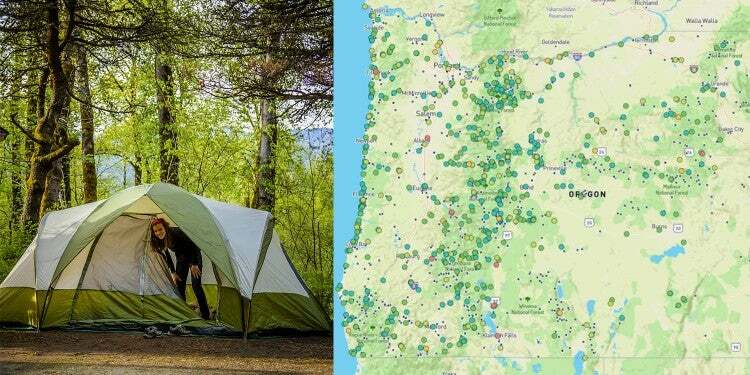 Browse through the results to find your perfect free camping in Oregon destination. If you already know your destination, it’s a good idea to stop by a visitor center or ranger station and talk to a ranger. 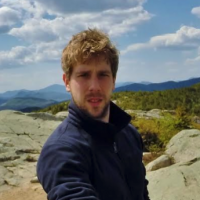 They’re the best source of information about great free, dispersed camping in the area. Service roads are usually lined with free campsites. On maps, U.S. Forest Service roads are indicated as NF-##, while roads running through BLM lands often also have several free camping options alongside them.